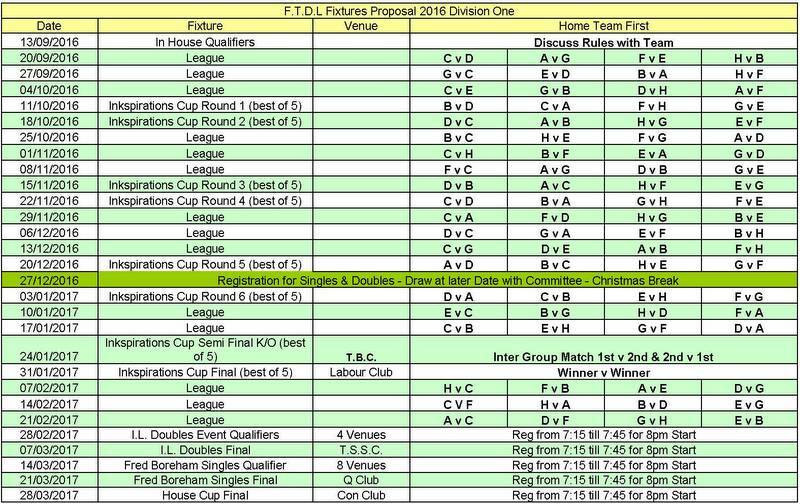 Each division has their own fixtures to suit so please ensure you are looking at the correct Fixtures if you are planning on printing or sharing them. The season starts on the 13th Sept with the House Cup Qualifiers & this is the chance for captains to clarify the rules to their respective teams! You can download a copy of the latest fixtures, Result Cards or Player registration form using the files below! If you spot any errors please feel free to contact us & we will do our best to sort them!